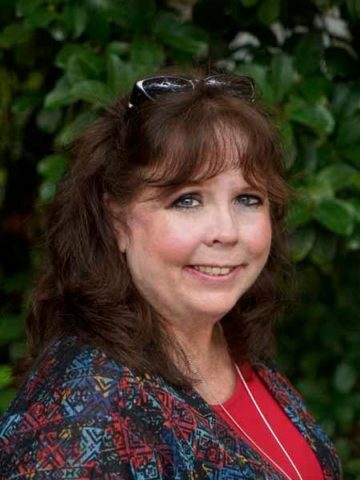 Kathy Hulsey Seeling, age 60 of Springfield and formerly of Alexandria, Louisiana, passed away unexpectedly on June 29, 2018 at Vanderbilt Medical Center. She was born Kathy Jean Hulsey on July 12, 1957 to the late Barney Owen and Betty Joan Bayne Hulsey in Gadsden, Alabama. Kathy graduated from Gardendale High School in 1975 and went on to receive her Bachelor’s Degree in Journalism from Auburn University. She later moved to Alexandria, Louisiana where she would start her family. Kathy loved her girls and her grandbabies. They were truly the light of her life. Grana always went above and beyond on everything she did for them. She was even working three jobs to save enough money to fly and see her daughter Coleen who is currently stationed in Italy for Christmas this year. She would start planning the next years event or holiday a year in advance just to make sure everything was perfect and she was always up for a new adventure. Surprise birthday road trips to Holiday World, Dollywood and to the beach were some of her favorites. There are many things that we could tell you about her but one of the most important things is she loved and lived life big. Life didn't always treat her well but she always kept moving forward and was one of the hardest working women you would ever meet. If you were privileged to count her as a friend there were many fun times filled with crazy stunts, smiles, and laughter. You didn’t have to worry about losing touch with her because she always knew when to make those special calls during the day and especially on your birthday. She was one of those friends that no matter how long it had been since you talked, you had no problem picking right back up where you left off. For many years Kathy owned and operated Throw Me Something! in Alexandria, which was the exclusive vender for Mardi Gras beads in town. She co-founded and was crowned the 1st Queen of the Krewe of Mariposa in 2001. Even after closing her shop and moving, she continued to have loyal customers placing orders for Mardi Gras beads every year. After leaving Louisiana, she found her perfect little corner of the world in Tenn-tucky. She enjoyed watching NASCAR, collecting frogs, canning, making homemade gifts and recently had started to quilt, which she said was a dying art form. Elvis, The Meters, Brad Paisley, Cher, The Eagles, Heart, and ZZ Top were some of her go to music choices. When it came to sports Kathy loved Auburn and LSU and it was always a true struggle when they played against each other. She loved to travel to the beach (even if she couldn’t swim) and she would sleep on the balcony listening to the waves hit the shore. She recently traveled to Canada and had the best time. She was an exceptional writer and had a passion for cooking… especially Cajun food. No matter the occasion, she could whip up something good in a flash. If you were lucky enough to get a recipe, you were sworn to secrecy and hoped she gave you all the ingredients. She loved to entertain and cook for a crowd. Kathy always had what was best for her family in mind, for this reason she will forever be remembered as a loving mother, Grana, sister, and friend to so many. She is preceded in death by her parents, Barney and Betty Hulsey. Kathy is survived by her daughters, Andrea (Christopher) Clark of Alexandria, LA and Coleen Seeling of Natchez, LA; grandsons, Jude Clark and Carter Clark; sister, Edith (Tom) Dail; nephews, Brian Dail and Brandon Dail and a host of close friends. A Life Celebration will be held on Thursday, July 5, 2018 at 8pm in the Chapel of Springfield Funeral Home. The family will receive friends on Thursday from 6pm until the time of service. There will be a Life Celebration at Lil Cajun House in Alexandria, Louisiana on Saturday, July 14, 2018 from 6 to 8 pm. The family requests in lieu of flowers that donation be made the to St. Jude Children’s Research Hospital, 501 St Jude Place Memphis, TN 38105. These arrangements were entrusted to Springfield Memorial Gardens, Funeral Home and Cremation Center 4005 Memorial Blvd Springfield, TN 37172. God always plucks the most beautiful flowers from his Heavenly garden. I’ll be keeping the family in my prayers. Kathy Hulsey Seeling,was like a sister,amazing friend,beautiful inside and out,loved cooking,i got a few of her recipe that she gave me by word and i wrote them down,we would laugh till we cried sometimes,want never forget my beautiful friend,fly high Kathy,love you. Continued prayers of comfort and peace for those left behind. Kathy threw me a surprise party for my 46th birthday. To my knowledge, That was the first birthday party that I remember having. She had everybody sign a titans hat and the gave me a really nice Tennessee shirt. That was 10 years ago and I still have both. I remember meeting Kathy through Andrea while I worked in Alexandria. A truly kind and remarkable woman that had no trouble trying something new, or even trusting a very green stylist with her hair- to the point of traveling from Tennessee to Alexandria and Lafayette for appointments (while visiting her family of course!) She was quick witted, and even faster to love and accept others into her circle. I’ll miss our random conversations and comment sessions on Facebook. She was a wonderful mother, grandmother and client, and someone I’m so proud to have called friend. Kathy was a true ray of sunshine. She brightened up many of nights at Macys while we worked the night shift. She loved her girls and was so proud of them. I will truly miss all her positivity, opionions and most of all her smile. Sending love and prayers to her family and especially her girls. She will be missed. That smiling face….I went to school with Kathy in Gardendale. Lost touch with her until Facebook came along. Prayers for family and friends of this sweet lady. I will miss you up here in Tennessee my Louisiana friend. Praying for you all during this sad time. Godspeed Kathy. Kathy was an exceptional woman, hard working and always on the go, if she was your friend then you had a friend for life. She was always talking about her daughters her trips and her love for music. I hope you find peace in your eternal rest, you’ll be remembered my friend and I’ll miss that awesome brisket you could sure whip up! Godspeed Kathy. She was a classmate of mine. What a good friend she was. I’m glad I got to know her.. She had a beautiful smile and a great personality. I will be praying for the family. May God give them peace and comfort. I worked with Kathy at Burke’s. I always liked her crazy wild stories. She talked the most about the girls and at the time only had Jude as a granbaby. She will be missed. Prayers for all. I know that Kathy will be truly missed. I was blessed to get to know her while at Macys, and I can honestly say that her love of people always shined through. (that and the state of Louisiana) We had many great conversations about life, and current events. God bless you during this time. Only knew her thru a mutual friend through a part-time job she worked with me. I could tell she was a good hard working person and had a good sense of humor. Rest in peace Kathy,prayers for your family. Andrea and Coleen – I was heartbroken to hear of your Mother’s passing. We have been friends for a long time. I looked forward to her trips to Louisiana when we met for dinner. I was looking forward to her next visit because she wanted to cook for me. Please know my love, thoughts and prayers are with you and your family. I will treasure our memories. Kathy was an absolutely amazing person. So full of life and so much love for her girls and grandchildren! She had so much love in her heart for others also. When my little granddaughter was diagnosed with cancer, she was always asking about her and fixed a goody bag for her while she was hospitalized. That’s when I learned of her love of St. Jude’s. She will always hold a special place in my heart!! Your smile, spirit, cooking, friendship, and the way you lived your life will never be forgotten by those whom you loved and loved you back. I know you are off on a great big new adventure now and finally you will be able to see and do all you ever dreamed of. You will be missed terribly but I know without doubt you are in a better place. Kathy had such a kindness and generosity, and such an an amazing gift with food! I loved trying her briskets and gumbos and I feel privileged to have known her! May you rest in all peace Kathy! Kathy , my dear friend. I’m so happy I got to talk to you just the week before for one last time. I was so sad to find out the very day I was supposed to call you that I was in town to meet up with you. I will so miss your bubbly smile, Corney jokes and political opinions (just like mine). Lol. Loved you so much and was so blessed to have had you come into my life by a chance account. Who knew that our love of crafts at that time in our lives would bring two people so close together. I will miss your January visits so much. Sure you be Day madam boogaloo. Kathy will always and forever have a special place in my heart. I had the privilege to work with her in HR at Macy’s. We shared a lot of happy at work. It was never a dole moment with her. We enjoyed singing Disney music and pretending to talking 🐋. She helped me out when I was going through a tough situation. And I will forever be grateful for her words of encouragement. Kathy love talking about her girls Coleen and Andres. They were her heart. Everything she did revolved around her kids and grandkids happiness. Kathy I love and miss you so much! R.I.P my goofy funny friend! May you rest in peace Kathy. It was a pleasure doing business with you these last few years.